No matter how you learn, we've got the lesson for you. Whether you're new to the game, polishing up your skills or just trying to beat your sister, we welcome players of any skillset. We also offer custom packages for all Lesson options. Designed to give you and your game undivided attention from your Coach. A perfect way for your crew to master the game together as one. *All Group Lessons include one non-alcoholic drink per person and one shared appetizer. **Classes are filled on a first-come, first-served basis. We recommend reserving your spot here, but walk-ins are welcome. Reece Bartelt is a Class A PGA member and has had over 7 years experience teaching and coaching golfers of all skill levels. He grew up in Northern Wisconsin and discovered his passion for golf at a young age. The passion for golf ending up taking him to Ferris State University where he completed the PGA Golf Management Program. During the course of his career in golf, he has had the pleasure of learning from nationally recognized teachers and coaches, volunteered coaching for Ferris State University's Men's and Women's golf teams, and has taught players who have played on the PGA and Web.com Tours. He makes learning golf fun and easy through a simple approach that complements each student's individual physical and mental capabilities. We believe every swing deserve its very own set of clubs, and our friendly and knowledgeable Callaway Certified instructors have all the custom club fitting tools to make it happen. The experience will include swing and ball flight analysis, club comparisons to maximize distance, and a simple explanation of the club technology and adjustability. Save $50 on Callaway Rogue Fairway Woods and $100 on Callaway Rogue Drivers when you get fitted for golf clubs. Take the next step in improving your game and book an appointment today. Book Now Price valid while supplies last. See Callaway Certified Instructor for details. These aren’t your typical golf lessons, and that’s what makes them so great! 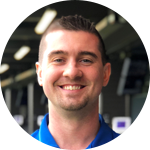 Watch the videos below to hear from students that have taken classes and lessons by one of our Topgolf Coaches as they share their success stories. "I had never played golf before, and the idea of going to a country club was intimidating. Topgolf is a great introduction to the game." "When I grow up, I want to be a scientist or a professional golfer." "We were originally going to just do one lesson. But then we bought a package and just kept coming. It's so much fun." "Everything we do is to keep it fun, first and foremost, and then to develop skills that they can then take on to the golf course." 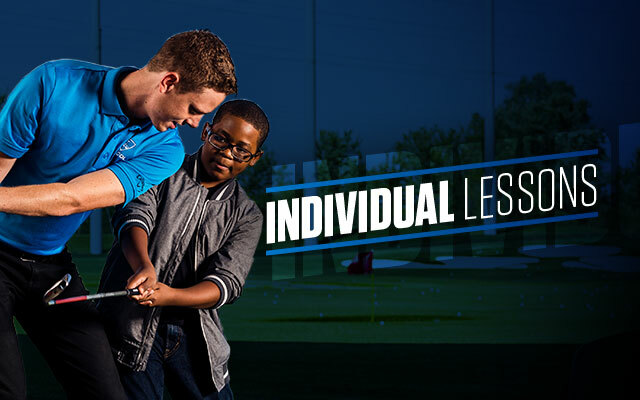 At Topgolf U, we’re redefining the way people learn to play golf. Our certified pros help students develop and practice the fundamentals of the golf swing in a high-energy environment that’s constantly being updated and upgraded so no two lessons are ever the same. These aren’t your typical golf lessons, and that’s what makes them so great! Learn to play. Play for fun. 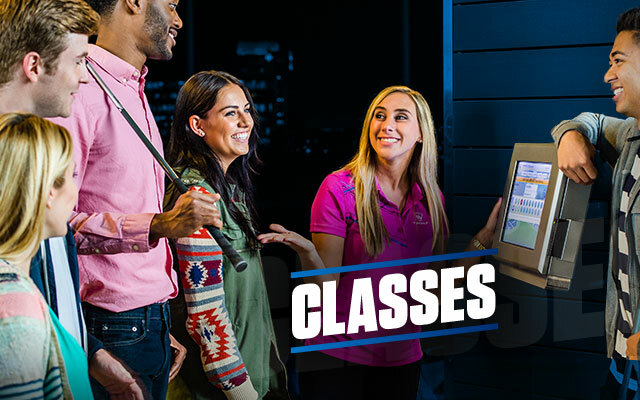 Topgolf U classes are a great, cost-effective way to learn the game and meet new people in a social environment. It’s the best way to make the ball—and your money—go a little bit farther. Need to contact a pro? We offer a variety of classes for all ages and skill levels. Slices, hooks and whiffs welcome. 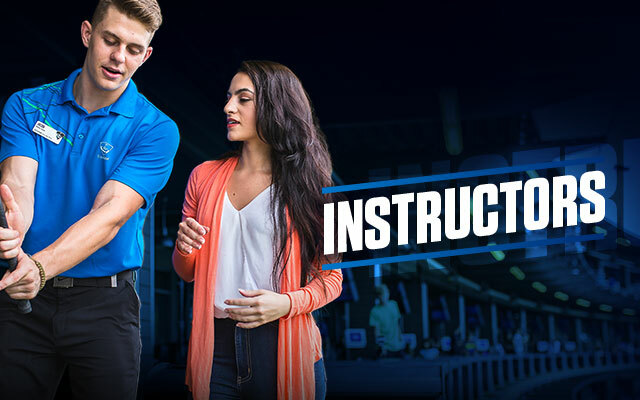 Designed with the beginner in mind, this class focuses on the fundamentals of your golf swing so you can stop taking “practice swings” and start making consistent contact every time you tee up. A great class for young golfers of beginner to intermediate skill levels who want to improve their golf swings in an environment that is as fun as it is informative. This high-energy class is an ideal way to get kids to learn the lifelong game and continuously advance their golf skills in a dynamic environment. Our ladies class is tailored to teach women of all skill levels the fundamentals of the game in a relaxed and social setting. The instructors of this beginner-friendly, 60-minute class use their favorite drills, tips and tricks to improve your golf swing in effective and repeatable ways. Our skills class uses a variety of drills to help intermediate to advance golfers make meaningful advancements to their overall game. This energetic, 60-minute class will help you achieve consistent ball flight by focusing on proper swing mechanics and technique. *Classes are filled on a first-come, first-served basis. We recommend reserving your spot here, but walk-ins are welcome. 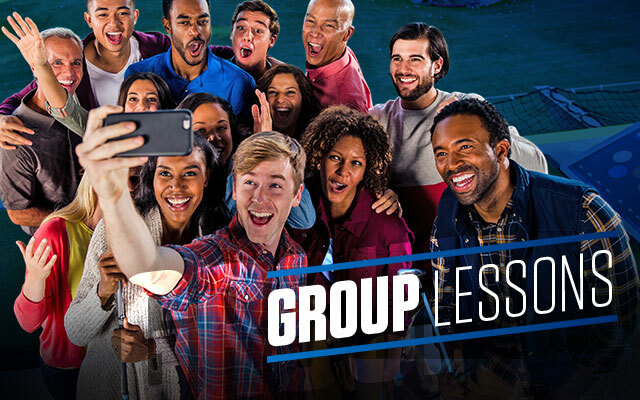 Whether you’re serious about the game or just looking for some serious fun, Topgolf’s group lessons are a great way to take your swing—and the fun factor—to the next level. Perfect for your next get-together or date. Just grab your friends, and we’ll grab the appetizer! Look, we get it. Sometimes, you and your swing need a little alone time. 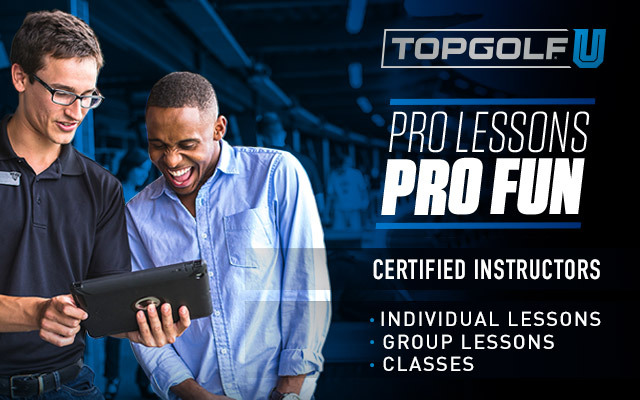 Well, Topgolf U’s individual lessons give you and your certified pro a comfortable environment to work on—or discover—your golf swing. We also provide video analysis that lets you instantly see your swing in slow motion. So the next time you’re playing with friends, you’ll be leading the pack.